North Korea Accuses Washington Of Provoking A Second Korean War? SEOUL, South Korea — North Korea accused Washington of seeking to “provoke a second Korean War” as the regime prepared to hold maritime military exercises off the eastern coast. U.S. and regional authorities were watching closely for signs that North Korea might fire short- or mid-range missiles during the June 25 to July 10 timeframe cited in a no-sail ban for military drills sent to Japan’s Coast Guard. North Korea had warned previously it would fire a long-range missile as a response to U.N. Security Council condemnation of an April rocket launch seen as a cover for its ballistic missile technology. An underground nuclear test last month drew more Security Council action: a resolution seeking to clamp down on North Korea’s trading of banned arms and weapons-related material by requiring U.N. member states to request inspections of ships carrying suspected cargo. In a first test of the new resolution, a North Korean ship suspected of transporting illicit weapons was sailing off China’s coast with a U.S. destroyer close behind. The Kang Nam, which left the North Korean port of Nampo a week ago, is believed bound for Myanmar, South Korean and U.S. officials said. A senior U.S. defense official, speaking on condition of anonymity because he was unable to discuss intelligence on the vessel, said Wednesday that the ship had already cleared the Taiwan Strait. He said he didn’t know how much range the Kang Nam has _ that is, whether or when it may need to stop in some port to refuel _ but that the Kang Nam has in the past stopped in Hong Kong’s port. More than 20 former prisoners at a US detention centre in Afghanistan have alleged they were beaten, deprived of sleep and threatened with dogs, according to a BBC report. The BBC interviewed 27 people who were held at the Bagram military base between 2002 and 2008. None of them was ever charged or tried. The former inmates made repeated allegations of ill-treatment, saying they were subjected to physical abuse, excessive temperatures and loud noise, forced into stress positions and ordered to undress in front of female soldiers. Four detainees claim they were threatened with death at gunpoint. 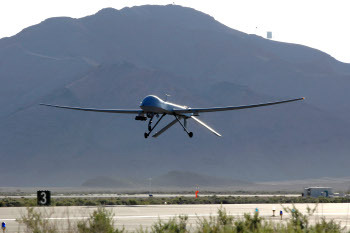 On Thursday, US drones launched an attack on a compound in South Waziristan, and when locals rushed to the scene to rescue survivors, they launched more missiles at them, leaving a total of 13 dead. The timing and target of the attack were controversial, as was the tactic of luring locals in with a first strike to maximize the kill count. Today, locals were involved in a funeral procession when the US struck again. Drones attacked what they suspected was a “militant hideout” early today, killing at least 17. When mourners gathered to offer prayers for those slain in the first attack, the drones struck again, attacking the procession it self and bringing the overall toll to at least 65, according to witnesses. The recent attacks show a level of aggression and a willingness to target gatherings likely to contain many innocent people unseen in previous US strikes in the area. Generally speaking, most of the dozens of attacks against South Waziristan have been isolated strikes against buildings, and were not followed up with supplementary attacks on the gathering crowds. The attacks come as the Pakistani government begins to ratchet up its own military offensive in the area. It is possible that the Pakistani military’s history of indiscriminate shelling of civilian targets and eagerness for massive kill counts is eliminating the diplomatic obstacles which have kept the deaths from the Americans’ own attacks comparatively low. It’s the 2009 presidential election in Iran and opposition leader Mir-Houssein Mousavi declares victory hours before the polls close, insuring that any result to the contrary will be called into question. Western media goes into overdrive, fighting with each other to see who can offer the most hyperbolic denunciation of the vote and President Ahmadenijad’s apparent victory (BBC wins by publishing bald-faced lies about the supposed popular uprising which it is later forced to retract). On June 13th, 30000 “tweets” begin to flood Twitter with live updates from Iran, most written in English and provided by a handful of newly-registered users with identical profile photos. The Jerusalem Post writes a story about the Iran Twitter phenomenon a few hours after it starts (and who says Mossad isn’t staying up to date with new media?). Now, YouTube is providing a “Breaking News” link at the top of every page linking to the latest footage of the Iranian protests (all shot in high def, no less). Welcome to Destabilization 2.0, the latest version of a program that the western powers have been running for decades in order to overthrow foreign, democratically elected governments that don’t yield to the whims of western governments and multinational corporations.